X-Men vol. 3 is a X-Men series from 2010 to 2013. The title was written by Victor Gischler from #1 - #29 and saw the X-Men interact with the rest of the Marvel universe. Brian Wood took over with #30 till #37. 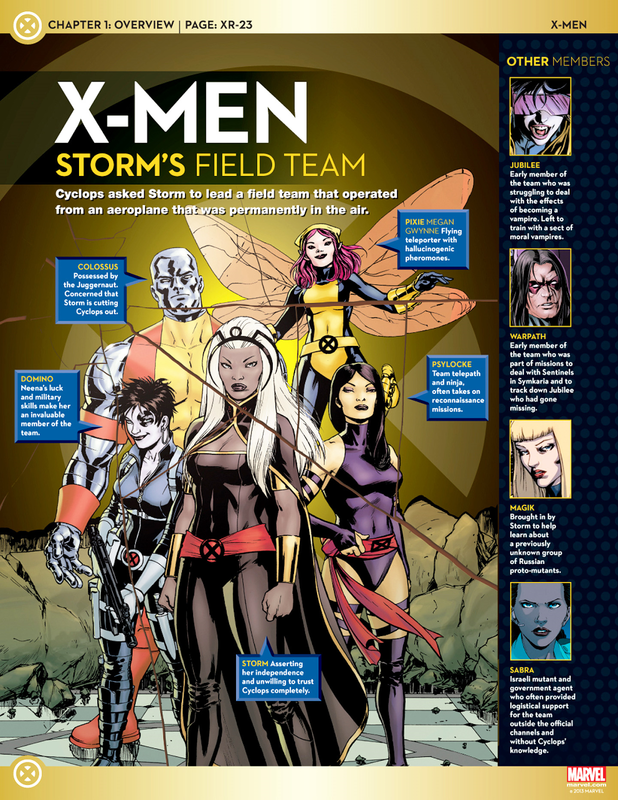 Wood's roster consists of Storm, Colossus, Psylocke, Domino and Pixie. Wood's run was fashioned to be an espionage thriller. Seth Peck wrote the title from #38 to #41. The title is cancelled with #41 and is relaunched as part of Marvel Now, written by Brian Wood. The first arc is drawn by Paco Medina and sees the X-Men fighting a vampire invasion. The son of Dracula led an invasion on San Francisco with the intention of converting mutants to join the vampire army. The depowered mutant Jubilee became the victim, becoming a vampire. Cyclops had the former lord of vampires Dracula, previously assassinated by Xarus, resurrected. The X-Men fought off an attack on Utopia while Dracula seek out Xarus and killed him. 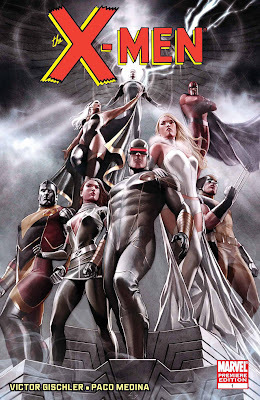 The second arc (#7 - #10 (2011)) sees Cyclops send a team of X-Men led by Storm to Manhattan to investigate a series of disappearances. The team enters the sewers where they are ambushed by several feral lizard creatures. The X-Men fought off the creatures and joined Spider Man in solving this case. The mastermind turned out to be the Dark Beast, who used the Lizard's DNA to learn the secrets of his mutation. Dark Beast was apprehended. Chris Bachalo penciled this arc. X-Men vol. 3 #11 (2011) is a Curse of Mutants epilogue issue. Professor X relates a story to Jubilee about his past when he encountered a vampire called Koda. 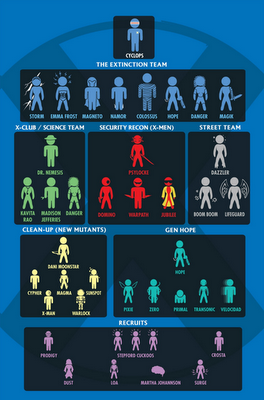 First to Last is a story arc in X-Men vol. 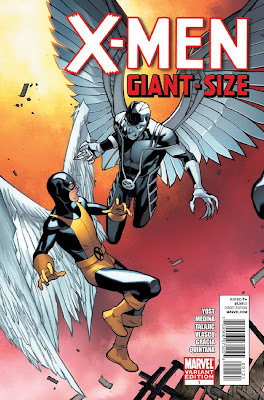 3 (Giant-Size X-Men #1, X-Men #12 - #15 (2011)) written by Chris Yost and drawn by Paco Medina. 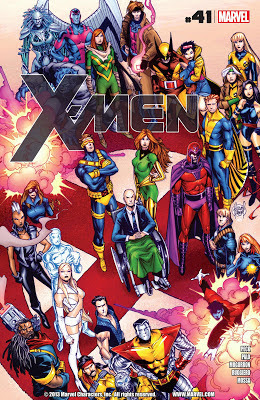 This arc sees many different X-Men and affiliates help fight the Evolutionaries, who wanted to seek the leader of mutants and massacre the human race. Gischler returns in #15.1 (2011) with Will Conrad as penciller. 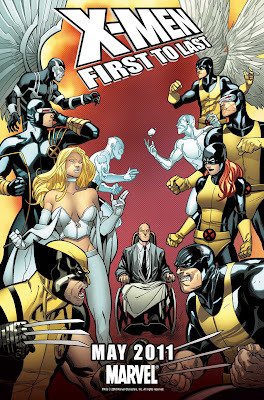 A team of X-Men encountered Ghost Rider while dealing with a demonic threat. 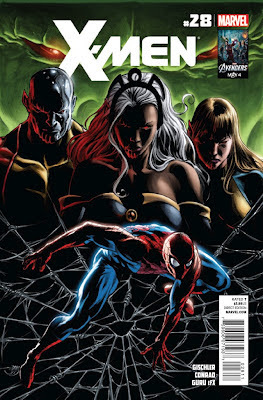 The fourth arc is titled 'The Land of the Skull' (X-Men #15 - X-Men #19 (2011)) and is pencilled by Jorge Molina. The X-Men teamed up with the Future Foundation to investigate a strange happening in the Bermuda Triangle. Both teams were transported into another world where they, along with the Skull and Lee Forrester (Cyclops' former girlfriend), help the native Kaddak defeat the Scorpius occupiers. Brian Wood takes over the title with issue #30. David Lopez penciled the title from #30 - #33, #36 - #37. Roland Boschi penciled #34 - #35. Storm and her team of X-Men, Colossus, Psylocke, Domino and Pixie, discovered that a race of proto-mutants lived on Earth hundreds of years before modern mutants began to evolve. Deranged scientist David Michael Gray dug up and cloned the remains of some of these proto-mutants, but he killed himself and all of the clones before the X-Men could intervene. The team next stopped a plan by the leader of the cult Heavenly Path to use Gray's proto-mutant samples to bring his followers and all humankind to genetic perfection. Storm and her team eventually tracked down David Sheppard, an original proto-mutant who has been alive for the past seven hundred years, seeking to find answers about the missing link in evolution. Uncomfortable with the attraction that he has attracted, he escaped and past on to another world. 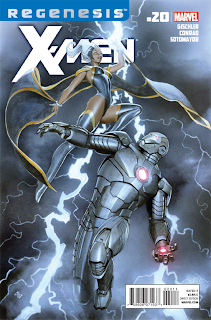 In the process, Storm and Colossus had disagreements on her methods, leading to a confrontation. Seth Peck took over the title with #38. Paul Azaceta and Matthew Southworth pencil the two issues. 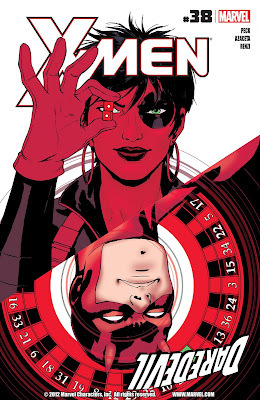 Domino teams up with Daredevil to stop an ex-SHIELD agent selling villain tech on the black market. Jefte Palo and Guillermo Mogorron pencil this arc. A team of X-Men consisting of Storm, Iceman, Angel, Pixie and Chamber attempts to recruit a new mutant but was intercepted by a new team of Freedom Force. The new mutant decides to join the US army with Freedom Force. Betsy was born in Britain to Sir James Braddock as the elder twin to Brian Braddock. She was recruited into Britain's S.T.R.I.K.E. 's Psi division and later took over Brian's role as Captain Britain. During a battle with Slaymaster, her eyes were gouged out. Recovering in the Alps, she was kidnapped by Mojo, brainwashed and given cybernetic eyes. She was rescued by Brian and the New Mutants. Following the Marauder's massacre of the sewer-dwelling Morlocks, Psylocke joined the X-Men. The X-Men seemingly sacrificed themselves in Dallas to help Forge bind the Adversary. They were resurrected by the Omniversal Guardian, Roma and relocated to a base in the Australian Outback. Having a recognitive flash that the cyborg Reavers were going to kill the X-Men, she sent members of the team through the mystical Siege Perilous. Psylocke was found amnesiac on an island off China by Matsu'o Tsurayaba, the leader of the ninja group the Hand. Seeing the chance to help his brain-dead lover Kwannon, he had Spiral use Psylocke's telepathy to restore Kwannon's brain. However, Spiral placed the two women's minds in each others' bodies. Psylocke, in Kwannon's body became Lady Mandarin, the Hand's prime assassin, before she was liberated by Wolverine and Jubilee and rejoined the X-Men. Kwannon, in Psylocke's body, appeared at the Xavier Institute claiming to be the real Psylocke but no one was sure who the real Psylocke is. Kwannon contracted the mutant-killing Legacy virus and asked Matsu'o to kill her, restoring Psylocke's full personality. Psylocke developed a romantic relationship with fellow X-Man Archangel. After Psylocke suffered fatal injuries at the hands of Sabretooth, Archangel and Wolverine retrieved magical liquid from the Crimson Dawn in an effort to heal her. As a result, she gained the ability to teleport through shadows, as well as a red tattoo over her left eye. Fighting against the Shadow King, Psylocke sacrificed her telepathy to trap him. When Jean Grey helped Psylocke to deal with the Shadow King, their powers swapped: with Psylocke gaining the powers of telekinesis and Jean Grey losing the powers of telekinesis but gaining greater telepathy powers. Psylocke joined Storm's team in search of the precognitive mutant Destiny's diaries. On their first mission, she fought and was killed by Vargas. She was resurrected one year later by her elder brother Jamie who also gave her immunity to mind powers to prepare her to fight the First Fallen. Psylocke eventually fulfilled her role and Jamie sacrificed himself to trap the First Fallen. Psylocke was recruited into the dimension-hopping Exiles to help fix realities with problems. She was eventually kidnapped by the Red Queen, the psychic ghost of Madelyne Pryor. The Red Queen returned Psylocke's mind into her original British body under her control. When the X-Men attacked Red Queen and her Sisterhood, Dazzler destroyed Psylocke's face and liberated her from the Red Queen's control. Psylocke returned to her Japanese body and rejoined the X-Men with a new power set: telepathy and telekinesis though both powers were not as strong as before. Psylocke joined the X-Club in travelling to the past in an attempt to unlock the secrets of mutantkind in an attempt to reverse the effects of the mutant-depowering M-Day. Back in the present, Psylocke travelled to Japan to bury her former British body, which had been exhumed by the Red Queen. However, in a ploy to get Psylocke to meet him, Matsu'o Tsurayaba sent the Hand to destroy the body. Psylocke found her way to Matsu'o and learnt that he had been slowly disfigured by Wolverine as punishment for his role in the death of Wolverine's former fiancee, Mariko Yashida. Matsu'o wanted Psylocke to end his life as he did not have hands to perform seppuku. After a fight between Psylocke and Wolverine, the latter allowed Psylocke to end Matsu'o's life. Psylocke has since participated in several missions with the X-Men. Psylocke also joined Wolverine's Uncanny X-Force team, where she resumed a relationship with Angel (Warren Worthington) She attempted to use her telepathy to keep Warren Worthington's Archangel persona in check but ultimately failed. 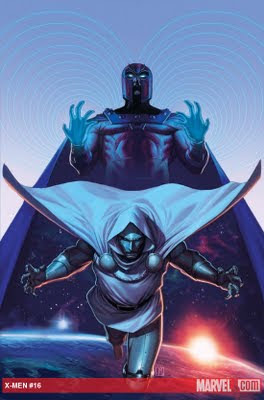 Archangel became Apocalypse's heir and went on to attempt genocide before Psylocke was forced to kill him. A resurrected Warren emerged but he became amnesiac. While Psylocke remained in Uncanny X-Force, she is under Cyclops at Utopia. James Proudstar was born on the Apache reservation at Camp Verde, Arizona. His brother is Thunderbird of the X-Men, who was killed on his second mission. He believed Professor X responsible for his brother's death. He joined Emma Frost's Massachusetts Academy as a member of the Hellions. The Hellions clashed with rival New Mutants a few times and the team eventually kidnapped Banshee to Cheyenne Mountain, the site of Thunderbird's death, with the intention to lure the X-Men there. James found Xavier alone and intended to kill him but was unable to kill him in cold blood. Xavier offered him membership in the New Mutants but he refused. He left the Hellions and returned to his home where he found his entire tribe killed. He believed the Hellions responsible and joined Cable's New Mutants which was converted into the paramilitary X-Force. Later, he discovered that Emma Frost was not responsible. He shared a brief romance with Risque. After X-Force disbanded, he joined X-Corporation Mumbai. He rejoined the X-Force for a mission agaisnt Skornn. 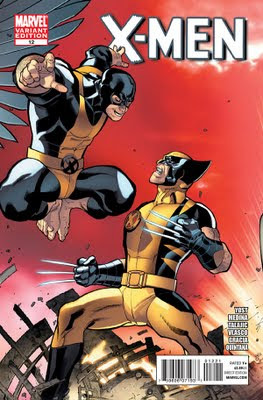 He retained his powers after M-Day and was recruited by Professor X into the X-Men for a mission into space to go after Vulcan, who was seeking revenge against the Shi'ar Empire for their role in his mother's death and his treatment at their hands. The X-Men allied with the Starjammers, which included Hepzibah. In the final battle, Warpath and Hepzibah was sent back to Earth with other X-Men. On Earth, he shared a romantic relationship with Hepzibah. 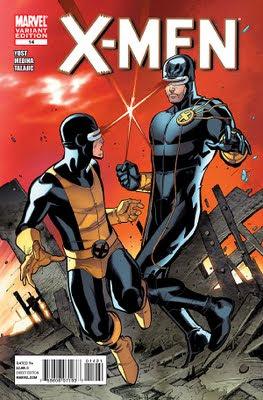 In the Messiah CompleX crossover, Warpath was dispatched to join the X-Force team by Cyclops to hunt down Cable, who was believed to have turned traitor. X-Force was re-purposed into a secret team to go after the X-Men's enemies with lethal force and Warpath remained. 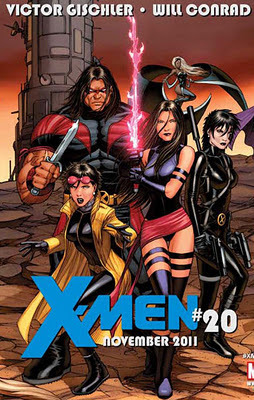 After the Second Coming crossover, X-Force's cover was blown and the team was disbanded. Warpath remained on Utopia, serving in some X-Men missions. Neena is the result of a top-secret government breeding program intended to develop the perfect weapon. Domino was the only test subject to survive, but her "luck" power was deemed a failure at meeting the project's goals. Her biological mother broke her out of the project and left her with Father Rudolpho Boschelli in the Church of the Sacred Heart in Chicago. Domino eventually left the Church and became a mercenary. She was then assigned to guard the genius Dr. Milo Thurman, whose analytical ability made him too dangerous for the government to let roam free. Somehow, Domino and Thurman fell in love and were married. The two separated after a raid on the facility by AIM members, with Milo believing Domino had been killed during the altercation. Neena helped found the mercenary band the Six Pack where she met mutant time traveler Cable. Six Pack as later renamed Wild Pack. Neena was later captured and imprisoned by Tolliver, who sent the mutant Copycat to impersonate Domino. As Domino, Copycat joined Cable's New Mutants, which was later reorganized into the paramiliatary X-Force. The real Domino escaped and joined X-Force. After X-Force disbanded, Domino joined X-Corporation in its Hong Kong branch. Together with the X-Men, they investigated the U-Men and their "Third Species" movement, harvesting body parts from living mutants. She was employed by SHIELD as a member of the new Six Pack which was defeated by Cable and Deadpool. She switched sides to join Cable at his nation Providence and assassinated Rumekistan's dictator Flag Smasher as part of a plan for Cable to take over the nation. However, she then attempted to kill Cable, believing that he would lead them to ruin but failed. 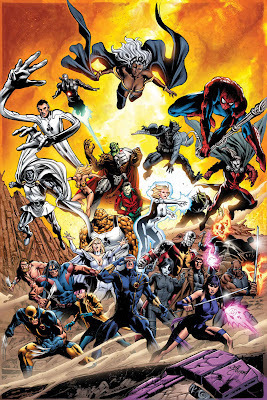 Together with former X-Force members Shatterstar and Domino, they broke out the 198 members from the Xavier Institute grounds during the Civil War crossover. Later, she was in Tokyo attempting to capture the Vanisher who was trying to sell a vial of the mutant-killing Legacy Virus. She encountered Wolverine's X-Force and joined them. On behalf of Wolverine, Domino stopped by a cemetery in Japan to deliver flowers to a deceased love one where she encountered the Sisterhood of Mutants who stole the body of former X-Man Revanche. Domino was then dispatched on a mission to replace Jean Grey's body before the Sisterhood's Red Queen can take the body as her host. Shortly after, Domino joined the X-Men and was sent on a mission. Following the Second Coming crossover, X-Force was disbanded and she remained on Utopia since. Ororo's mother, N'Dare, is the princess of a tribe in Kenya and descended from a long line of African witch-priestesses with white hair, blue eyes and a natural gift for sorcery. N'Dare fell in love with American photojournalist David Munroe and married him. They moved to Harlem in uptown New York City, where Ororo was born. They moved to Egypt and lived there until Ororo's parents died during the Suez Crisis in a botched aircraft attack, leaving six-year old Ororo as an orphan. Buried under tons of rubble after that attack, Ororo suffered from claustrophobia. She eventually found her way out and became a skilled thief in Cairo under the benign Achmed el-Gibar. She encountered Charles Xavier and stole from him but Charles was able to use his mental powers to prevent Ororo from escaping. When he was attacked by the malevolent Amahl Farouk, the Shadow King, Ororo was able to escape. As a young woman, Ororo wandered into the Serengeti. When Storm made her way to Kenya, she was saved by a young T'Challa (later the Black Panther) from racist thugs. They shared a brief romance. 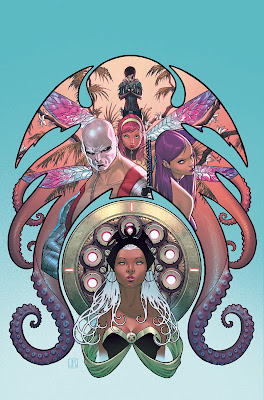 Ororo made her way back to her native village where she used her powers to provide rain and was worshiped as a goddess. When the original X-Men was captured by the living island Krakoa, Xavier traveled to recruit Ororo, recognizing her as the young girl who attempted to steal from him years ago. Ororo initially had trouble adjusting to Western culture but adapted soon after. 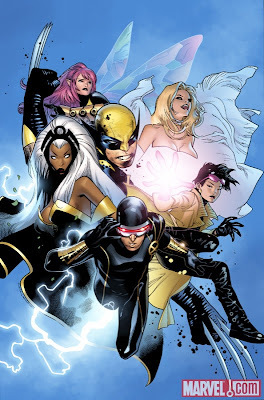 After Cyclops took a leave of absence, Ororo became leader. She harbored motherly feelings for the young Kitty Pryde. Later, when the X-Man Angel was kidnapped by the disenfranchised mutants Morlocks, Storm challenged their leader Callisto to a duel. Despite already being rendered sick by the Morlock known as Plague, Storm defeated Callisto by impaling her through the heart, nearly killing her. Storm was usually a serene and independent person but her outlook of life started to darken. Storm became influenced by the ronin Yukio, a friend of Wolverine whom she became fast friends with. She changed her costume and spotted a Mohwak hairstyle, establishing a punk look and attitude. This change alienated her from Kitty. Storm soon lost her powers to a mutant power neutralizing gun that was intended for another X-Man Rogue but accidentally shot her. The gun was developed by the mutant Forge. Forge helped Storm cope with her life without powers in his home in Dallas, Texas and they fell in love. However, when Storm overheard a conversation between Forge and Gyrich, the government operative who fired the gun, she discovered that Forge had built the gun. She was heartbroken and left him. Storm made her way back to the X-Men, where she challenged Cyclops to the leadership. Even though she was powerless, she managed to defeat Cyclops, who left the X-Men to be with his wife, Madelyne Pryor. She changed back to her original look and joined the Hellfire Club together with Magneto. She became trapped in another dimension with Forge where she regained her elemental powers. They emerged in time to help the X-Men defeat the Adversary, apparently dying in the process. The X-Men were resurrected by the Omniversal Majestrix Roma. With the world believing them dead, they established a new base in the Australian Outback. She was later apparently killed by the evil cyborg Nanny but was in fact physically regressed back to childhood by Nanny. As a child, she was hunted by the Shadow King and framed for murder. She was rescued by the mutant Gambit and they formed a thieving partnership. She was kidnapped to the island Genosha by the mutant-hating government where she was transformed into a brainwashed mutate. In the end, she was restored physically and mentally back to her adult state and her brainwashing was reversed. 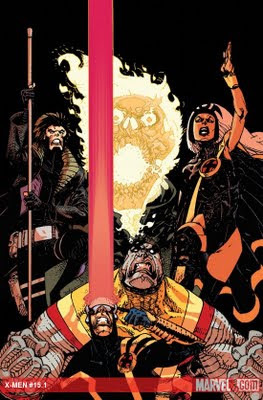 After the various X-teams defeated the Shadow King, the X-Men were reorganized into two teams, with Cyclops and Storm as the leaders of the respective teams. Forge proposed to Storm but she hesitated. Before Storm can respond, he rescinded his offer and departed. They eventually made up with each other. Much later, Storm led a breakaway team of X-Men to recover the lost prophetic Destiny's Diaries. The team became the Xtreme Sanctions Executive, a United Nations approved task force policing mutants given worldwide authority. They returned back to the Xavier Institute following its destruction at the hands of Xorn. Storm resumed her romance with T'Challa, the King of Wakanda, which led to their marriage. 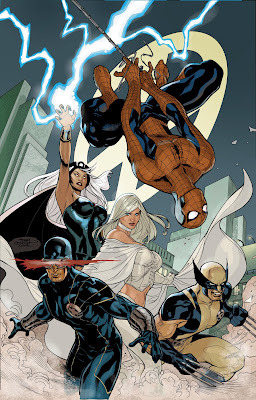 Both Storm and Black Panther briefly joined the Fantastic Four. 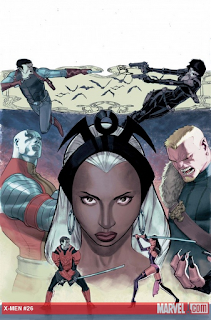 Later, Storm rejoined the X-Men, managing her duties with the X-Men and as the Queen of Wakanda. Following the schism, Storm stayed with Cyclops to help keep an eye on the strong personalities in the team. She also joined the Avengers. Piotr "Peter" Rasputin was born on a Soviet collective farm called the Ust-Ordynski Collective near Lake Baikal in Siberia. He lived there with his mother Alexandra, father Nikolai, and sister,Illyana. His older brother, Mikhail, had been a Soviet cosmonaut and had apparently died in a rocket accident. Peter's superhuman powers manifested during his adolescence while saving his sister from a runaway tractor. At first, Peter was content simply to use these powers to aid the other people of the collective; however he was soon contacted by Professor Charles Xavier, the founder of the X-Men. Xavier was recruiting a new team of X-Men to rescue the original team, most of whom had been captured by the sentient mutant island Krakoa. Colossus remained with the X-Men and he became known to be peaceful, selfless, and was reluctant to hurt or kill anyone, always putting himself himself in danger to protect others. The villain Arcade sent his employee Miss Locke to kidnap the X-Men's loved ones, including Colossus' younger sister Illyana. After the X-Men defeated Arcade, Illyana lived with her brother at the Xavier Institute. Illyana was later trapped in Limbo where she grew up to be the mutant sorceress Magik. When the X-Men fought the evil mutant Proteus who was killing humans, Colossus was forced to exploit Proteus' weakness for metal and kill him via contact. Peter formed a relationship with fellow X-Man Kitty Pryde. The X-Men was soon trapped with other heroes along with a group of villains in a world created by the omnipotent Beyonder. During this Secret Wars, Peter was infatuated with the alien healer Zsaji, who soon died. When Peter returned to Earth, he ended his relationship with Kitty. During the Marauders' massacre of the sewer dwelling Morlocks (Mutant Massacre), Kitty was severely injured and Peter gave in to his rage and snapped the neck of one of the Marauders. Peter was severely injured in the fight. Magneto, then an X-Man, used his powers to heal Peter but the process left him paralyzed. He was sent to Muir Island along with injured X-Men Nightcrawler and Shadowcat to recuperate. When Peter saw the X-Men fight the Adversary in Dallas (Fall of Mutants), he had his sister Illyana teleport him to join in the fight. The team sacrificed themselves to stop the Adversary but were resurrected by Roma. With the world believing them dead, the X-Men operated out of a base in the Australian Outback. When Illyana de-aged back to a child to stop a demonic invasion (Inferno), Peter sent her back to live in Russia. (It was strongly hinted that the son's father is Colossus). Back in the Australian Outback, the X-Men were under attack by the cybernetic Reavers and the X-Man Psylocke telepathically prodded the X-Men to escape via the mystical Siege Perilous. Peter emerged in New York with no memory of his life, inventing a new life for himself as Peter Nicholas, a successful artist. Eventually, Peter was controlled by the malevolent psychic entity Shadow King to hunt down Charles Xavier and Stevie Hunter. Xavier had no choice but to destroy the Peter Nicholas persona to break the Shadow King's hold. With his memories back, Colossus rejoined the X-Men, joining the Gold Team. The X-Men found themselves in another dimension where they found Colossus' brother Mikhail. Mikhail returned to Earth, where he established himself as the remnants of the Morlocks and teleported them to another world. 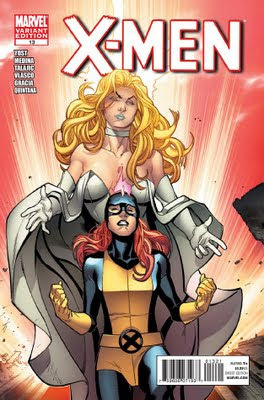 Soon after, Peter's parents were killed and Illyana kidnapped by the Russian government, who hoped to use Illyana's powers to defeat the Soul Skinner. The X-Men managed to save Illyana and bring her back to the Mansion. However, Illyana became a victim from the Legacy Virus and died. The death of his family and brain damage that forced him to remain in armored form affected Peter deeply and he joined Magneto and his Acolytes. 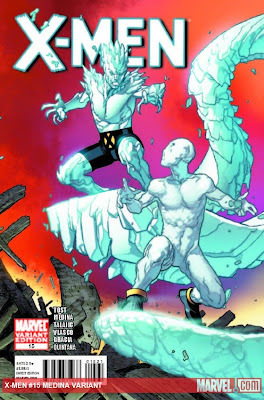 Even after he recovered from brain damage, he decided to remain with the Acolytes hoping that he can temper the Acolytes' extremist methods with what he had learned from Professor Xavier. The Acolytes' base in the asteroid Avalon was destroyed. Still alive on Earth, he traveled to England to seek out former love Shadowcat, now a member of Excalibur. Peter found Kitty in the arms of her new love Pete Wisdom. Exhausted, mentally ill and enraged, Peter attacked Wisdom and nearly killed him but he was subdued by Captain Britain and Meggan and later cured of his illness by Moira. Colossus accepted Kitty's relationship and joined Excalibur. Excalibur eventually disbanded and Colossus returned to the X-Men along with Nightcrawler and Shadowcat. Using notes from the recently murdered Moira MacTaggert, the X-Man Beast created a cure for the Legacy Virus. However, it had to be made airborne with the death of its first user. Not wanting others to die like Illyana, Colossus administered the cure on himself and he seemingly died. Colossus' body was cremated and Kitty scattered the ashes in Russia. Much later, Kitty found Colossus alive while raiding the medical company Benetech, which had developed a mutant cure. It was revealed that the alien Ord from Breakworld captured Colossus' body and left a body that the X-Men cremated. After reviving Peter, Ord managed to use the Legacy Virus cure in Peter's blood to develop the mutant cure. Peter then rejoined the X-Men. Peter was involved in an elaborate scheme created by Aghanne, the leader of a Breakword reform cult, in which he was prophesized to destroy Breakworld. Colossus' steel form would allow him to destroy the planet's power source, initiating a chain reaction that would destroy the entire world. However, Colossus refused to destroy Breakworld. Colossus was involved in several X-Men missions. When a teenage Illyana resurfaced, Colossus eventually managed to persuade her to stay with the X-Men. Later, the Juggernaut became Kuurth: Breaker of Stone, one of the Heralds of the asgardian Serpent, attacked San Francisco as part of the Serpent's plan to wreck havoc in the world (Fear Itself). A small team including Colossus, Kitty and Illyana made their way to the other-dimensional being Cyttorak, who was responsible for empowering the Juggernaut. 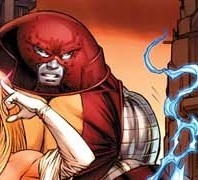 Illyana was able to bargain with Cyttorak to reappoint a new avatar of the Juggernaut. Unable to accept Illyana taking on the powers, Peter took the powers for himself. Following the Schism, Kitty left the mutant island Utopia while Colossus decided to stay due to fears of his new powers being unsafe around children. Cyclops sent teenage X-Man Pixie to check on Jubilee. During this time, Jubilee was infected with a mass bio-engineered virus released by a vampire suicide bomber. This virus turned her into a vampire. Jubilee is able to survive with Wolverine's blood. Jubilee was brought in by Gambit to help Wolverine's clone X-23 to live a normal life. 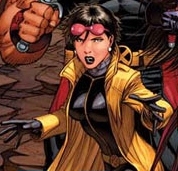 Following the schism, Jubilee remained at Utopia to be away from the students at Wolverine's school. She joined Psylocke's security recon team.